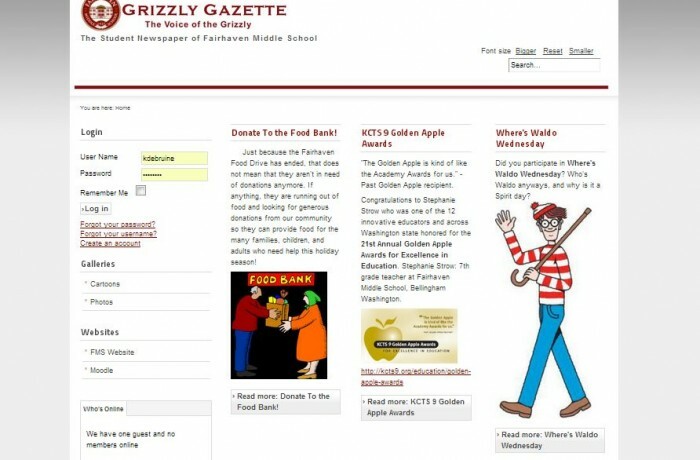 The client needed a Content Management System for publishing a school newspaper with a readership of 600 students. The website is used by over 20 students who serve as publishers, editors and authors. The Joomla application is well suited for handling different roles for users, for managing LOTS of content and organizing thousands of media files. This website uses a Joomla template for efficient and cost effective design. The latest version of Joomla handles regularly updated content and many content providers.